Amazon Prime Day is coming on July 16-17. That should bring joy to every direct seller’s heart. Prime is a life-saver for the busy business owner; delivering pretty much anything needed to their door. I mean, who doesn’t love getting supplies delivered to their front door, so they don’t even have to put on pants to get the ring lights, shipping supplies, customer gifts, and anything that is needed. I mean, why wouldn’t that be wonderful? 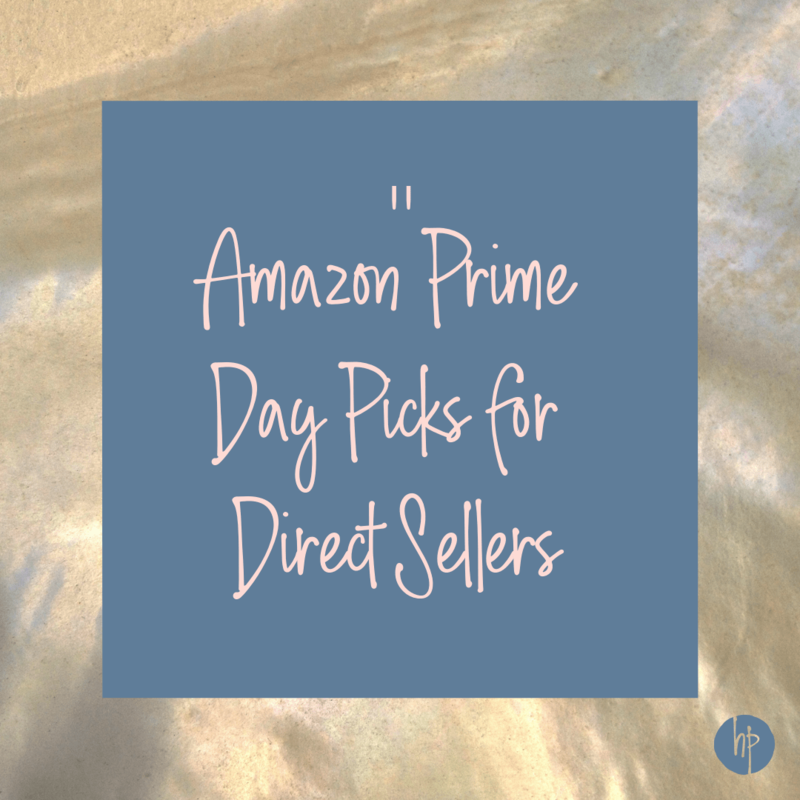 Here’s a list of 3 Amazon Prime Day picks for direct sellers. Listen to Audible books while you work (this is my favorite usage – I am able to use my time effectively). Also, the joy of the Echo device is that it typically goes on sale for Prime day – historically, a deal has offered two for a discounted rate, or a discount off one device. This was the number 1 seller worldwide last year for Prime Day. Don’t forget to check out the Amazon Echo Show, where you can have a screen too! It’s currently on sale for nearly 50% off leading up to Prime Day. An instant pot will always be on the prime day picks, and there’s no disputing it. The instant pot has always been one of the top sellers on Prime Day, and was the number 1 item in Canada last year. Here’s why you need it. Picture yourself. It’s been a busy day, planning parties, making graphics, connecting with your team, and hustling hard. Suddenly, like magic, it’s dinner time. AGAIN. How does that happen every day? Throw your ingredients in the instant pot, turn it on, and VOILA! You have an amazing, home-cooked meal ready in minutes rather than the hours that a traditional crock pot would take. Typically, the Instant Pot is one of the best deals on Prime Day, and can be scored for nearly 50% off the normal retail price. Fun fact: rather than waiting for my instant pot to be purchased from my registry for my August wedding, I purchased mine on Prime Day in July 2015, and she’s still going strong! This pack of Instant Pot accessories will get you everything you need to rock the Instant Pot! One of the top questions that I hear from direct sellers is a request for book recommendations. Many trending books in the business world are on the top seller list, which can get expensive. When I priced books for myself, they were typically $12-25 each. That adds up quickly, and led to me finding Audible. With Audible, I receive a “credit” monthly, which I can redeem for any book I choose. Audible has literally thousands of titles to choose from. I’ll be honest – I strategize for my books. In fact, every other month or so, Audible offers a “2 for 1 credit” sale, and I get books from my list then. My monthly Audible credit is GOLD and allows me to plow through books about strategy and mindset that my budget minded self would never otherwise get the chance to read. Even better is that Amazon is offering 66% off a three month membership: click here to get started! If you want to try Kindle Unlimited, Amazon is offering a 3 month membership for 99 cents. If listening to audio books isn’t your jam, that’s ok! The handy dandy Kindle reading app lets you take your books with you where ever you go. Need some ideas to start your list? Here’s five books that influenced my business. If you’re one of the holdouts who doesn’t have a Prime account, click here to fix that and get a free 30 day trial. It’s going to change your life! 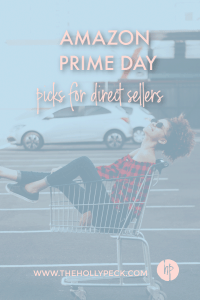 So tell me….what is on your list for Prime Day? Sharing is caring: make sure you pin this!